Google My Business is a free tool that allows you to manage how your business information appears across Google Search, Maps and Google+. It allows you to interact with customers both old and new, helping to tell the story of your business while building a rapport in the process. Who is this tool designed for? 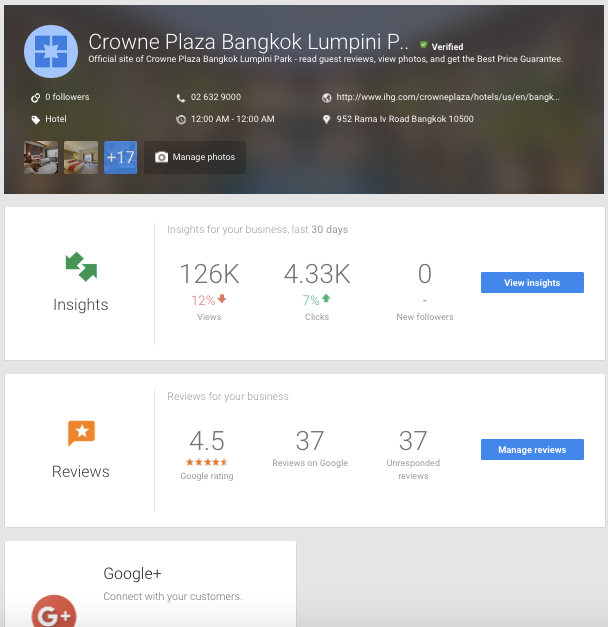 Google My Business is designed for smaller businesses that operate on a local level – for example, businesses that have storefronts from which they serve customers, or businesses that work across a local area. If you are looking to promote a brand, organisation or product (and don’t have a physical address accessible to customers) then you can create a Brand Page instead. 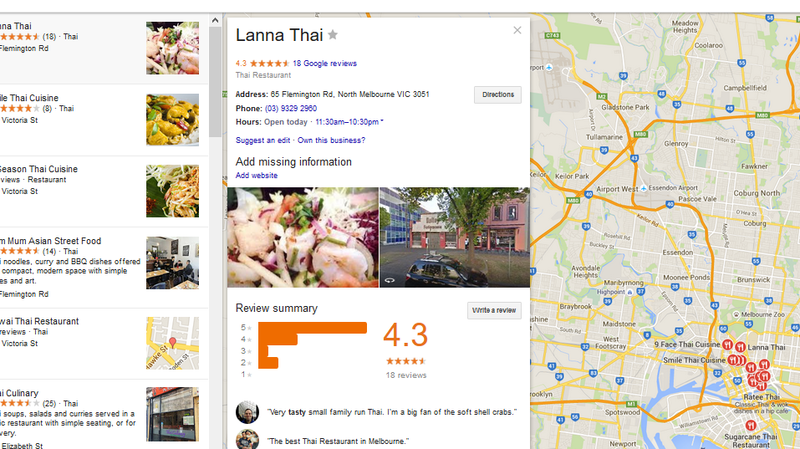 An example of how local search results (specifically, local pack results) appear in the SERPs. When a person enters a search query that relates to businesses in their vicinity (e.g. 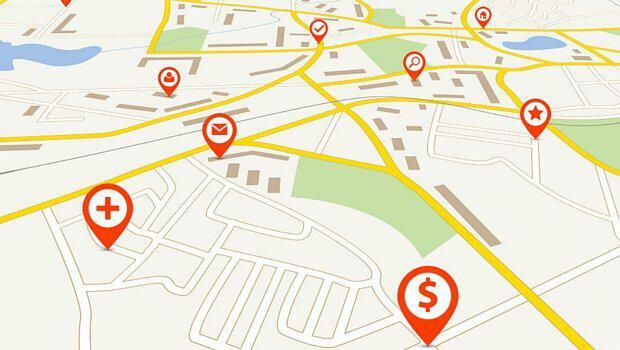 by entering a specific location as part of their search term or by searching for certain services with their device’s location setting turned on) Google wants to show them local business that could address their needs. Without local search, small businesses would find it hard to trump large companies in the SERPs as they would come up against marketing campaigns fuelled by far bigger budgets. What are the benefits of using GMB? There are a number of benefits to using GMB for your business. It makes it easier to manage information. This tool makes it easier to manage the information that Google users see in relation to your business, such as your website, physical address and opening hours. It increases trust. According to Google, when businesses verify their details via GMB they are twice as likely to be considered reputable by consumers. It allows businesses to interact with customers. GMB makes it possible to read and respond to customer reviews, as well as post photos to provide insight. Google has found when businesses choose to add photos to their listings, they receive 42% more requests for directions on Google Maps and 35% more clicks than businesses that fail to post any images. It makes it easier for customers to find you. 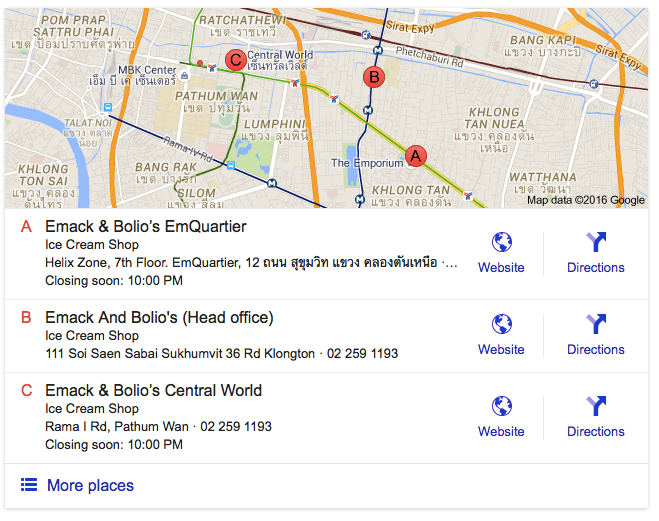 GMB provides a map of your business location (via Google Maps) and therefore makes it easier for customers to find you. It provides greater insight into your web presence. GMB allows you to ascertain how customers searched for your business and where the majority of your customers are coming from. GMB also provides you with access to other useful data, such as how many customers called your business directly from the phone number displayed on local search results in Maps and Search. How does Google My Business assist an SEO campaign? GMB works with local listings and directories. The details on your GMB listing and other local listing sites should be very similar as this allows Google to pull data from all listings. It works in a similar way to backlinks; if Google can see that your business details (NAP: Name, Address, Phone) are consistent across many different web sources, it improves the credibility of your business and therefore your local rankings. Drive more traffic to your website. Your website URL should be linked to your GMB profile so that potential customers can easily access your site when they come across your listing. Keywords still play a part. Just as an SEO campaign targets certain keywords, these phrases can also be targeted on Google My Business. How to optimise your business page in relation to certain keywords is explained later on in this article. 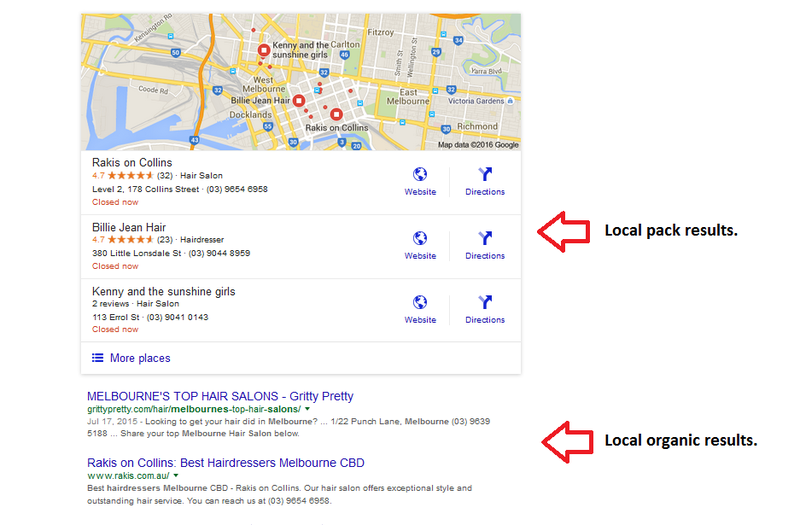 While the above chart details the overall ranking factors that influence where a website ranks in local search, it’s important to note that there is a difference between localised organic results and local pack results. Ranking factors therefore vary between these two different sets of search results; GMB is largely concerned with the local pack results. 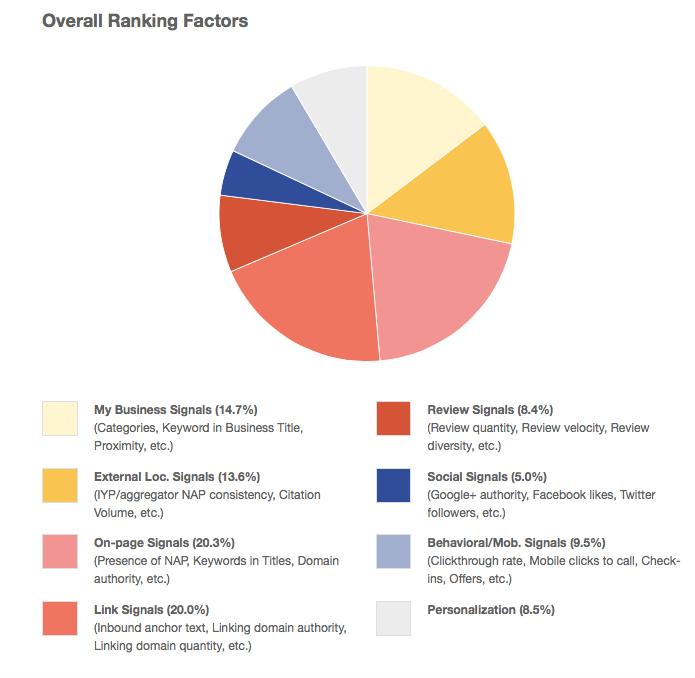 Local pack results and organic results are determined via different ranking factors. Ready to set up a GMB account? Here’s how to do it! 1. Use the business’s @gmail.com account. Use your business’s Gmail account to begin the process. 2. Create and set up a location. Enter your business name and pinpoint its location. Primal’s location has already been added to GMB. 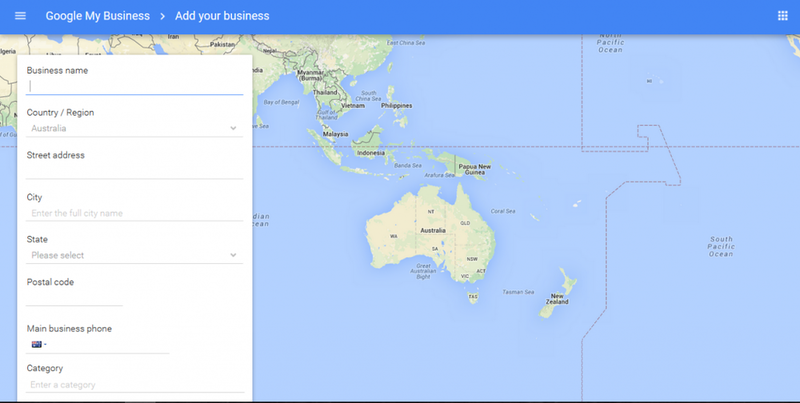 If your business isn’t already added to the map, you will need to create the location. 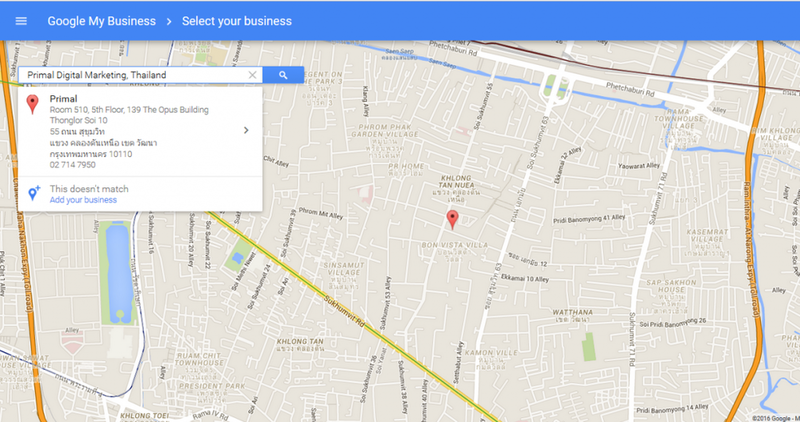 If your business location isn’t already added, you will need to click “add your business”. New businesses will need to enter their location into the form provided. Once you have entered the location, you will need to confirm with Google that the address you have entered is, in fact, your business premises. Confirm that the address you have entered is your business premises. This screenshot depicts a number of businesses and their locations; this is how your business will appear on your GMB home screen once you’ve set up the location and confirmed. 3. Fill in business information. Fill out all required business information, such as the name, address, hours, industry, contact details etc. You can also add images and a host of other information – remember it’s possible to add to or change this information when required. Detailed information (inc. photos etc.) can be added via your business page via this home screen. 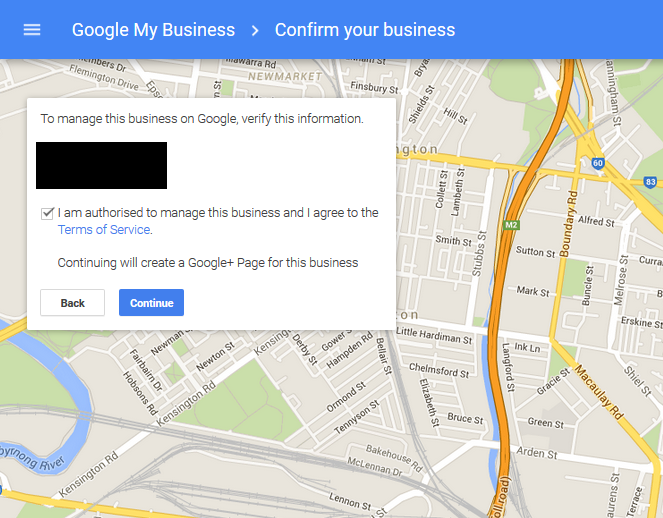 GMB will ask you to verify your location. This is normally done via mail (a code is sent by postcard and takes approximately 14 days), as this allows Google to verify that your business in fact resides at the listed address. Once you receive the postcard, visit www.google.com/local/verify and log in with the same account you used to request the verification. Once you’ve logged in, enter the code on your postcard and you’re done! In some cases the verification process can be completed over the phone. Once you have requested this verification, you will receive an automated call to your nominated business number with a 6 digit code. This code is then used in the same way as the code received via postcard. Please note that your listing won’t appear on the GMB search results until you have verified your location. 1. Use the business’s @gmail.com account. Sign in with your business Gmail account. 2. Download a bulk upload spreadsheet. Once you have verified your initial location, you can upload bulk locations by selecting the menu icon to the left hand side of the home screen. Select “Import locations” and then click the “Download the template” link. 3. Fill in all locations (store code and map coordinates too). Store code – this is a unique ID that you assign to each of your business locations. Address – you may need to include the latitude and longitude coordinates to help Google determine the exact location. Phone number specific to the location – this isn’t required if a website is linked. Up to two additional phone numbers may also be supplied. Primary category – this is the category that best represents your business and it should be consistent across all locations. Up to nine additional categories can be added. Photos – add photos to each location. Description of your business (max. 200 characters). Labels – you can add up to ten unique labels per location. You can find detailed information on how to fill out a bulk upload spreadsheet here. 4. Upload the sheet to GMB. Once you’ve formatted your spreadsheet, click the menu icon and then click “Import locations” to upload it to Google. You can read more about importing bulk upload spreadsheets here. 5. Edit any errors. You can fill in any missing or incorrect information after the initial import. 6. Bulk upload verification. You will need to verify these newly added locations. Google will make contact with marketing staff on the company phone, company official email or via the Google account manager. What should an active GMB page look like? Below is an example of an active GMB page. All business details have been filled out, the location has been verified, insights are available for viewing and the business has already received 37 reviews from customers. An example of an active GMB page. This factor refers to how well your business matches someone’s search query. In terms of your GMB page, it’s important to ensure relevant keywords are used so Google can ascertain what it is your business does. It’s important to ensure your business details are up to date and that these details are consistent across GMB, other directories and your website. Keywords are also important here. 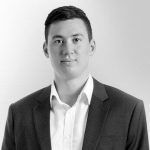 Your business introduction should accurately describe your business and include key phrases that are relevant to what you do and the types of customers who are likely to be searching for what you have to offer. Keywords can also be used in your business title; while you can use a single descriptor within the title to help customers identify what your business offers, the title should still closely mirror the name of your business. In most cases, Google knows roughly (or exactly) where a person is when they enter a search query. 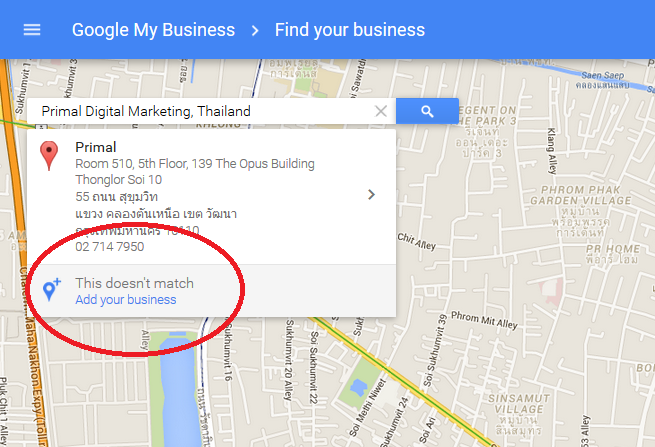 If a location isn’t specified, then Google works with any available knowledge they have about the person’s location. Google is looking for search results that are within close proximity to the person who’s searching. It’s a good idea to embed your Map on your website as well – this is usually added to the contact page (see below). Primal’s contact page shows an embedded Map that details the business location. This factor refers to how well known a business is. It takes into account GMB reviews (particularly positive ones), web presence (e.g. articles, directories and links) and also the business’s position in the organic SERPs – since Google My Business and SEO are inextricably linked. As mentioned earlier, having consistent business details across the web (e.g. GMB and local directories) allows Google to verify that your business is real and trustworthy; this helps with local rankings. If details aren’t identical across different sources, it’s hard for Google to verify that it’s actually the same business. Reviews are now a very important factor – especially when it comes to small businesses in the restaurant sector. Recent changes to Google’s local pack ranking factors mean that many of those businesses in the top three spots have 20 reviews or more. As a business planning to use GMB, it’s important to ensure your customers are leaving reviews. The experts over at Meaningful Marketing have written a great post that provides businesses with strategies for generating more Google reviews. Once a customer clicks on your local pack listing, they are presented with your business information and reviews; these reviews now influence how well your GMB page ranks. Verifying postcard doesn’t arrive in 14 days. The postcards can take time to arrive. In some cases, it can take up to 30 days. If you have been waiting three weeks or more, the best way to address this issue is to contact Google in order to manually verify the business. Google couldn’t find the business location. If Google is finding it hard to locate your business, make sure you have included Map coordinates (latitude-longitude) as these can help to pinpoint your location. Google doesn’t show the desired image on the results page. You cannot choose the priority image to be shown on Google’s search page, so pick the images wisely before uploading them. Location is duplicated to other existing one. 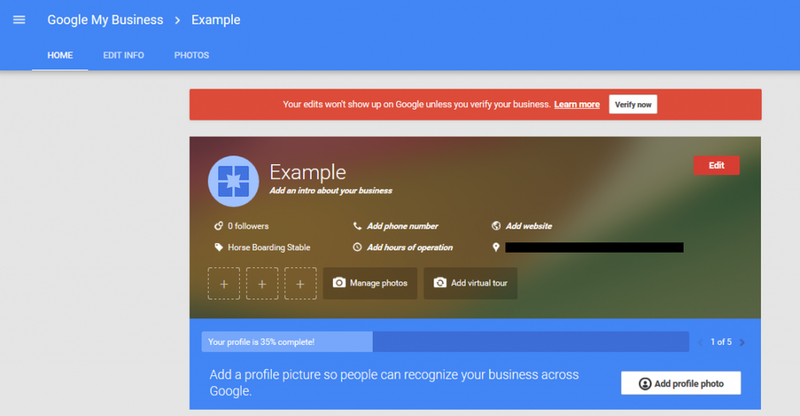 You will need to submit a claim to Google that it is different businesses. For small businesses trying to get ahead, Google My Business is essential. SEO has been an important marketing tool for many years now; however GMB makes this strategy more accessible to local businesses working with smaller budgets. The time it takes to set up your GMB page is time well spent. That being said, time poor businesses can always utilise the expertise of digital marketing agencies. Here at Primal, we can set up and optimise your Google My Business page for you – ensuring you receive the local exposure you deserve! 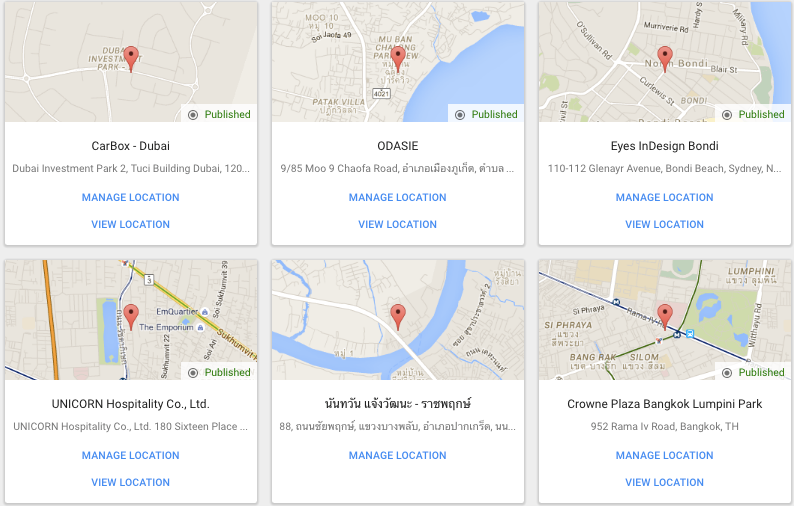 For SEO services in Bangkok, Thailand – get in touch with us today. break of day, since i like to learn more and more. Hello! I just anted to ask if you eveer have any trouble with hackers? months of hard work due to noo back up. Do you have any solutions to stop hackers?